For several years, people have noted the close relationship between Dictator Donald Trump (DDT) and Fox network as the faux news network has remained a combination of propagandist and feeder of falsities to the man inaugurated over two years ago. DDT has given Fox 44 exclusive interviews, with the number accelerating. In the past six months, DDT has tweeted over 200 Fox items to his 58 million followers. 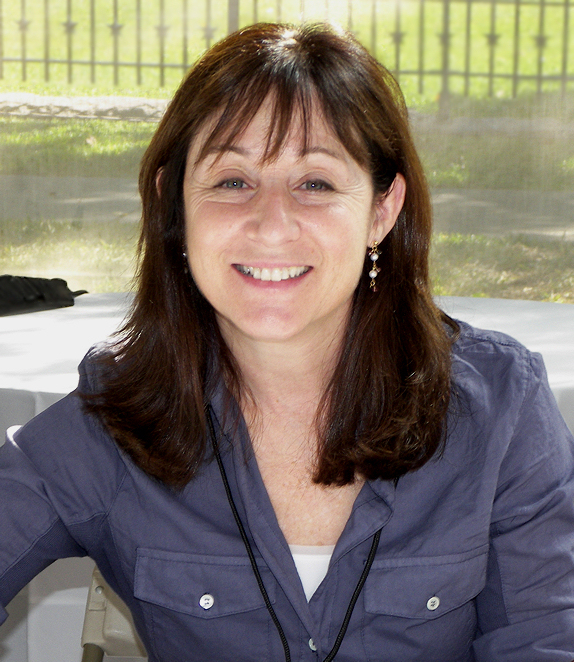 In the New Yorker, journalist and author Jane Mayer has detailed the relationship between DDT and Fox in an 11,000-word essay. Instead of reflecting the news, Fox radicalizes the people with its fear-mongering. Conservative pundit Bill Kristol, employed by Fox as a contributor until 2012, said, “Before [Trump], it was conservative, but it wasn’t crazy. Now it’s just propaganda.” Sean Hannity has long been known as a confidant for DDT, often freely appearing at his dramatized events to toss him easy questions and one of the nightly triumvirate with Tucker Carlson and Laura Ingraham to scream over guest statements opposing DDT. Called the Shadow Chief of Staff, Hannity talks to DDT every night after his show. Fox Business hosts Pete Hegseth and Lou Dobbs offer DDT policy advice in the Oval Office. DDT thinks of hosts of Fox & Friends as his personal friends, and they pander to him with unvetted ideas. DDT’s political rise matched a shift in tone at Fox. Early on, CEO Roger Ailes opposed Fox being a shill for the Tea Party, but owner Rupert Murdoch created an audience that became the “party of Trump.” Before DDT, Fox ridiculed birtherism, Bill O’Reilly described its promoters as “unhinged,” and Glenn Beck, who hosted a Fox show until he went over the conspiracy edge, called them “idiots.” DDT made birtherism respectable, and Hannity got his way to promote the extremist far-right party. He described President Obama’s negotiations with North Korea “disturbing” but called DDT’s failed efforts a “huge foreign-policy win.” Fox built its audience by elevating Benghazi far above other embassy ambushes causing deaths in its constant attack on then Secretary of State Hillary Clinton, and Hannity appeared on stage at a DDT rally with little objection from Fox. Murdoch went from correcting DDT by tweeting that “Mexican immigrants, as with all immigrants, have much lower crime rates than native born” to tolerating Fox’s frequent diatribes about hordes of “illegal aliens.” Murdoch and DDT are both about the bottom line and ratings. Megyn Kelly asked DDT “tough” questions in the Fox-sponsored presidential debate, but insiders said that Ailes alerted DDT about the questions. Kelly wrote in Settle for More that DDT called Fox executives the day before the campaign to complain about her “very pointed question directed at him.” After the debate, DDT boycotted Fox, driving down until ratings until Ailes groveled. During the summer when DDT became the GOP presidential candidate, Ailes’ sexual misconduct forced him out, and he joined DDT’s debate team. Fox gained two Ailes loyalists, Jack Abernethy and Bill Shine, as co-presidents who turned the network over to DDT propaganda, furthering empowering him and Hannity. At 85, Murdoch claimed the CEO position, but insiders reported that after his serious health issues, “the lunatics took over the asylum.” During DDT’s campaign, a Fox reporter confirmed the story about his affair in 2006 with Stormy Daniels, but Fox editors denied her going public. She told colleagues that Ken LaCorte, then head of FoxNews.com said, “Good reporting, kiddo. But Rupert wants Donald Trump to win. So just let it go.” The same reporter kept digging and discovered that the National Enquirer made a “catch and kill” deal with Daniels in which the tabloid bought the exclusive rights to story before it buried the information. The story went public when the Wall Street Journal published the details about Daniels and the Enguirer, a year after DDT was inaugurated. The reporter was demoted, she sued the network, and her settlement includes a nondisclosure agreement banning her from talking about her work at Fox. LaCorte, still paid by Fox after he left, said that he squashed the story without talking to superiors because it hadn’t “passed muster.” Blogger Nik Richie called him out for being a “LIAR,” tweeting that he “was one of your sources.” Richie voted for DDT, but he thinks that the story would have swung the election. Part of Shine’s job at Fox was to handle sexual misconduct complaints. Any woman who complained was gently treated unless she persevered, when Shine would warn her that her career would be destroyed. At least four civil lawsuits against Fox name Shine as defendant, and Fox settled on in 2017 for $90 million. That suit claims Fox spent $55 million to settle sexual harassment claims out of court. Shine was subpoenaed to appear before a grand jury in a Manhattan U.S. Attorney’s investigation into company funds for these payoffs, but Shine agreed to interviews by prosecutors. The investigation disappeared after Ailes death in May 2017, but Shine was his enabler as shown by payments he signed to accusers’ settlements. Under Shine’s leadership in 2017, Fox and O’Reilly paid $13 million to five female employees accusing him of sexual misconduct with a sixth $32 million payment in negotiation. After advertiser boycotts and street demonstrations, Fox fired O’Reilly and then Shine. Hannity became Fox’s top-rated star and highest-profile DDT promoter and helped Shine get a job as White House communications director and deputy chief of staff. DDT’s son-in-law, Jared Kushner, has always been close to Murdoch, but Murdoch made up with DDT after calling him “a f**king idiot” to benefit from specialized treatment for his business interests. DDT’s administration approved Fox’s sale of most of its entertainment assets to Disney for $71 billion, with the Murdoch family getting $2 billion and becoming a major stockholder in the combined company that accounts for half the box-office revenue in the United States. DDT promised the creation of jobs from the deal that has resulted in thousands of layoffs. DDT’s FCC blocked Sinclair Broadcast Group, more conservative than Fox, from buying Tribune Media Company that would have given Sinclair access to 72 percent of the U.S. population. Conservative media outlets focus on confirmation of the audience’s biases and provide propaganda and lies that spread uncorrected to Fox because viewers hate for falsehoods to be disclosed. Fox fired Glenn Beck for baseless conspiracy theories, but Hannity is rewarded for them. Only boycotts of Fox advertisers forced Hannity to drop his conspiracy accusations about murdered Democratic staffer Seth Rich. Matt Gertz, a senior fellow at Media Matters, thinks that Fox drives DDT more than the reverse. A recent example how DDT caused the 35-day shutdown and declared a national emergency because of Fox ridicule. Fox’s problem comes from its one-pony show of DDT to make money, and ratings fall when he looks bad. Fox’s evening ratings have dropped by 20 percent since the midterms with only a spike for DDT’s interview after Michael Cohen’s testimony. A change may be in the wind: much smaller since the Disney sale, Fox will be supervised by conservative Lachlan Murdoch who might move to center right. The test could be the release of Robert Mueller’s findings. At this time, Fox’s hosts and guests are swearing war. The question is whether Fox wants to start the war. The most frightening part of Jane Mayer’s detailed look at the authoritarian DDT and Fox network is that it’s not as shocking as it should be for a country that prides itself on being a democracy. Trump’s speech, touted to be about “law and order,” aimed to get the black vote as he talked about how Hillary Clinton sells out blacks and how they need to vote for him. He pretended to be addressing an audience of blacks in an almost entirely white audience. A vendor sold Confederate flags outside. In the past, Trump has refused to speak to the NAACP, Urban League and the recent National Association of Black Journalists/National Association of Hispanic Journalists convention. The man who calls blacks “thugs” and “rioters” now wants their vote because only one percent of the black population supports him. Trump’s mostly vague lies covered Clinton’s inability to have the “strength or stamina” to govern, her lacking the temperament to be a president, and her policies being disastrous for black people. Trump has recently developed this new strategy: if he is attacked for something—for example, health, temperament, racism, etc.—he then accuses Clinton of these problems. Less than one-fourth of the speech concerned law and order, but between the slander against Clinton, he had ways to stop inner city problems and help the black community. One was to get manufacturing out of China, and another was to put a lot of people in prison. This is his message to a community decimated by unequal mass incarceration, unequal prosecution of non-violent offenses, and unequal treatment by police. Earlier this week, Trump said that he would not “pivot.” Perhaps he was being sarcastic about his belief that “I am what I am.” Tomorrow will show what tweet drives him into another tantrum. Whenever Trump gets in trouble with the RNC, he calmly–and badly–reads a speech from teleprompters. One of his current serious problems comes from his campaign manager, Paul Manfort. First, there’s indication that Manafort was paid to swing an election in Ukraine to favor the pro-Russia leader who was then deposed. Then Jason Abel, attorney and former Chief Counsel of the Senate Rules Committee, said that Manafort may have violated the Foreign Agents Registration Act (also known as FARA) by not disclosing his foreign agent status with the Ukraine. The New York Times reported in 2008 that the George W. Bush administration complained that Manafort and his firm were undercutting U.S. foreign policy in Ukraine. Congress has taken notice of Manafort’s fiasco in the Ukraine. Rep. Adam Schiff (D-CA), ranking member on the House Intelligence Committee, requested that Trump “immediately disclose any payments by pro-Putin groups to his campaign chairman or other key staff, and assure the American public that these payments have not influenced his campaign proposals or any action he might take in the White House.” Rep. Adam Kinzinger (R-IL) also said that Trump “ought to really investigate this,” and Rep. Sean Duffy (R-WI) agrees. Another Trump problem may be Roger Ailes, recently deposed from Fox president for sexual harassment. The New York Times has reported that Ailes will advise Trump for the upcoming debates starting September 26. Trump and Ailes are good friends, and Trump has attacked the women who brought charges of sexual assault against Ailes, calling him “a very good person.” Manafort has said that Ailes will not join the campaign, and Trump says that the NYT is wrong. Perhaps he is being sarcastic. Trump gets his first classified national security briefing as presidential candidate tomorrow, and he’s taking his good friend Michael Flynn—former head of the Defense Intelligence and paid speaker at the Russian state-funded TV network to celebrate its 10th anniversary. Flynn has served has also served as analyst for the network. Aides must be vetted before attending these briefings, but no nominee’s advisor has ever been banned from listening to the country’s secrets. After Trump’s ties with Russia because more obvious, he attacked Clinton’s connection with Putin, using his new strategy. Michael Moore has a theory regarding why Donald Trump ran for president: he wanted a better deal for The Apprentice, a show that was badly failing when Trump decided to run for president. All he needed were a few rallies and then get the deal he wanted. No need for a campaign staff or infrastructure—just a lot of insults. Much to his amazement—and by now dismay—he became a success with a certain segment of the nation’s voters. And he could be on any show he wanted just by being on the telephone. CBS CEO Les Moonves talked about how good he was for the ratings. Trump’s problem now is that he might become president and have to work. How to get out of it is his real problem because he can’t stand to lose—especially to a woman. Trump Had a Bad Day – Is He Insane? Attention–that’s what Donald Trump needs more than anything else. The more others take the media from Trump, the harder he works to get it back. Right now Trump is trying to be more outrageous after Hillary Clinton’s post-convention bounce put her at a two-thirds chance of winning, up from the under 50 percent before the conventions . Clinton’s smallest lead in any fully post-DNC national survey is now 5 percentage points, and Nate Silver reports that her national leads go from eight percent (CNN) to 15 points (RABA Research). Overall, polls average between five and eight points for Clinton. Her upward trajectory may have contributed to Trump’s meltdown during the past 24 hours. Trump’s spokeswoman, Katrina Pierson, blamed President Obama and Hillary Clinton for Captain Khan’s death when she told Wolf Blitzer that the soldier died because the president and secretary of state changed the rules of engagement in Iraq. When Captain Kahn died on June 8, 2004, a year after George W. Bush started the war, Barack Obama was a state senator in Illinois and Hillary Clinton was New York’s senator. When Trump was in the lead, he was satisfied with the election process, but after his drop in the polls, he’s declaring that the election is rigged. His vicious surrogate Roger Stone has promised a “bloodbath” if Trump doesn’t win the election—the same promise that white supremacists made if Trump didn’t become the GOP candidate. The solution to sexual harassment, according to the Word of Trump, is getting a new job. Fox network Kirsten asked Trump about an employer treating his daughter Ivanka in the same way that Roger Ailes treated his women employees. Trump responded that she should “find another career or find another company.” This statement follows his defense of his longtime friend Ailes and his questioning the motives of the 25 people who brought up the sexual harassment at Fox before Ailes was forced out last week. Republican consultant Katie Packer asked why a woman should have to walk away because of being sexually harassed. In Ashburn, Trump shouted at two parents with crying babies and demanded that they be removed from the audience. He also said that he hoped for an economic collapse to come before he’s elected to protect himself. Trump has a history of hoping for economic collapses. Ten years ago, he said he was hoping for a crash because “then people like me would go in and buy.” Two years after he said that, the housing market collapsed, causing millions of people to lose their homes in the United States and plunging the nation’s economy into a deep recession with millions of people unemployed. Later today, Trump announced that he supported House Speaker Paul Ryan’s (R-WI) challenger and attacked other incumbent nominees, including Sens. Kelly Ayotte (R-NH) and John McCain (R-AZ). The first U.S. GOP member of Congress has defected. Rep. Richard Hanna (R-NY), elected during the 2010 Tea Party sweep, said he will vote for Hillary Clinton because Trump is “unfit to serve our party and cannot lead this country.” He said he made the decision after watching Trump’s treatment of the Khan family. Hanna added, “I think Trump is a national embarrassment. Is he really the guy you want to have the nuclear codes?” The congressman has the luxury of making this decision because he’s not running for re-election. Other GOP politicians, such as House Speaker Paul Ryan (R-WI) and Sen. John McCain (R-AZ), have spoken out against Trump’s statements but still have not withdrawn their support. Just this one day, and Donald Trump kicked babies out of his rally, got an “easy” Purple Heart, opposed elections for individual GOP leaders, hoped for an immediate economic collapse, victimized women who were sexually harassed, threatened journalists, cried about rigged elections, and again attacked the family of a heroic soldier who died in the Iraq War. It’s all in a day’s work for the demagogue. That’s after the president called Trump “unfit” and “woefully unprepared.” A growing number of people in the nation agree with the president. Both conservative and liberal columnists are increasingly asking if Donald Trump is insane. Trump biographer Michael D’Antonio disagrees. He claims that Trump “sees the world as a constant struggle for victory and lacks a moral compass.” That might be worse than insanity.